Rich intensive formula with natural ingredients with deep protective and moisturizing effect for healthier, radiant skin. - Coconut oil protects the skin against sun damage, improves the moisture and lipid content of the skin, delays the aging process, repairs skin and gives it a healthy glow. 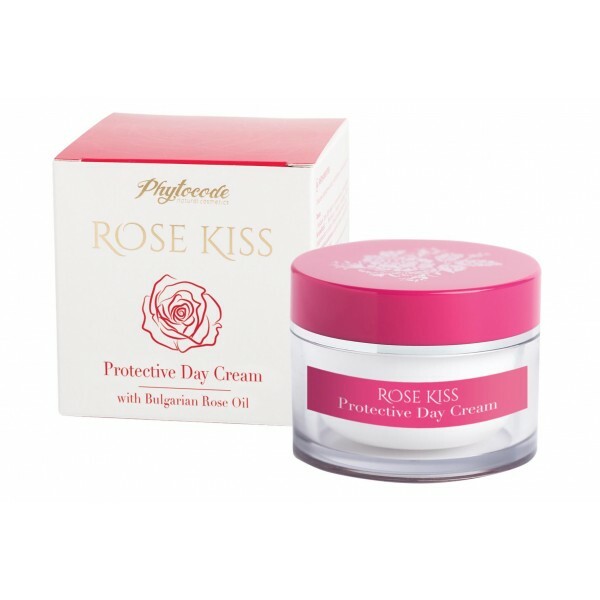 - Bulgarian Rose oil helps balance moisture levels in the skin and reduces the appearance of skin imperfections. - Wheat proteins nourish and smooth the skin, improve skin’s softness, decrease number and depth of wrinkles. - Beeswax soothes and protects the skin from drying without inhibiting its ability to breathe. Result: Protected, moisturized, nourished and smooth skin. The regular use of Protective Day Cream protects the skin from the influence of the environmental unfavorable factors – sun, wind, cold weather; helps moisturizing and rejuvenating the skin; restores skin flexibility and elasticity; rebuilds the skin's microrelief network. Directions for use: Apply each morning with light massage motions on the well-cleansed face. Gets absorbed quickly.